Trubudannon near St Columb Major is the location for Easter Monday’s Point-to-Point meeting, April 21st, where the Four Burrow will be holding their race day. Seven races are on offer and over 100 entries have been received. The Prowse Limited sponsored Members Race heads up the action at 1pm. Entries include the prolific winning mare Wee Fly, trained by Ross Oliver. She could figure here, having recently run four lengths second under jockey Bryony Frost at Great Trethew, behind Blazing Whale.Wee Fly has wins in double figures and at her best could take some beating. Reliable Richie is another to consider after his third in the Intermediate at Buckfastleigh. The Sportsmans Arms sponsored Open Maiden two mile four furlong race follows, in which the Neil Harris-trained What About Will could come on for his second at Great Trethew, when he kept on gamely behind Theatre Goer. Lady Annabel for trainer Polly Gundry, ran well under jockey Robbie Henderson at Cothelstone in March, before being brought down at the last fence. In the Truro Tractors sponsored Confined race, suggestions could be Print The Money, having run six lengths second to King Of Alcatraz here last season, and may have needed the run on return when fifth at Great Trethew. King Cyrus from the Emma Oliver team ran third here last season and has three Chase wins to his credit. Gorteenwood, and previous course winner Benetwood, could figure if ground continues drying. 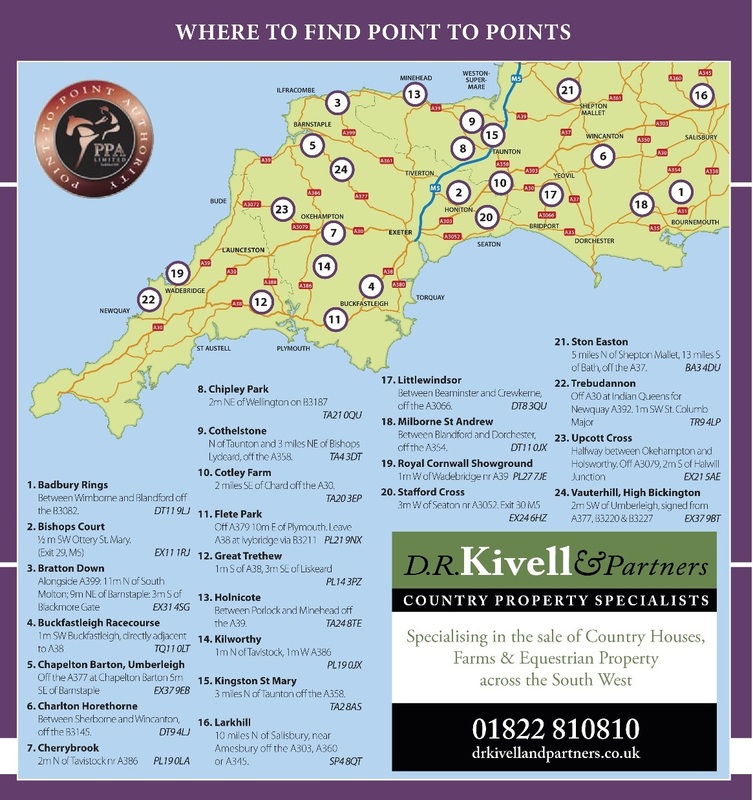 The Brewin Dolphin sponsored Ladies’ Open race, could see this seasons current leading horse Byerley Bear, who has five wins to his credit, be stalked by Lion On The Prowl, a recent Andoversford winner, from the Alexandra Dunn team. Byerley Bear had been flying until his defeat at Great Trethew when coming home in third. Connections reported that he had lost two shoes in the ground, and they will be hoping that he bounces back to form here. 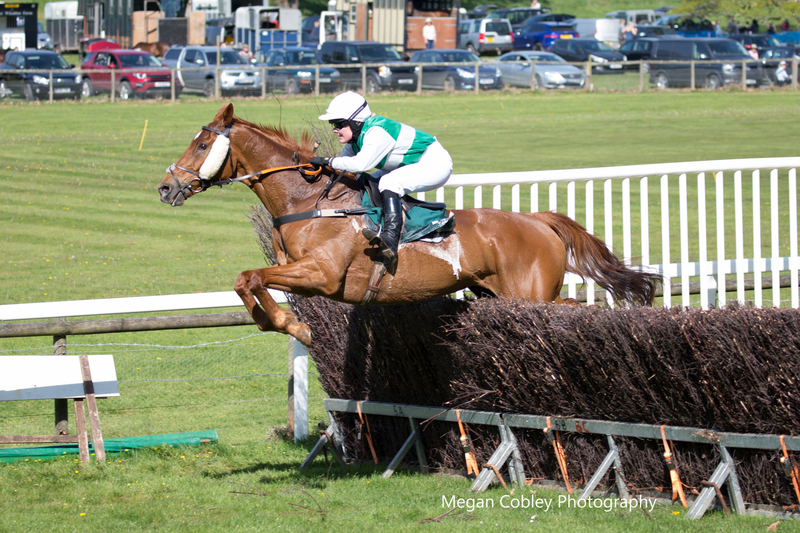 In the Bonhams Cornish National Men’s Open race, the Jane Williams-trained Shalimar Fromentro could go off favourite having run eye-catchingly well at Great Trethew when winning for jockey Chester Williams.The horse runs regularly in cross country circuits in France, and could well give his connections another win here. The Janet Ackner-trained Ace High also has strong claims, having won and been placed in three mile Chases. He ran a good second last season to John Daniell at Badbury Rings, and may have needed the run when coming home fourth at Kilworthy behind Aiteenthirtythree. 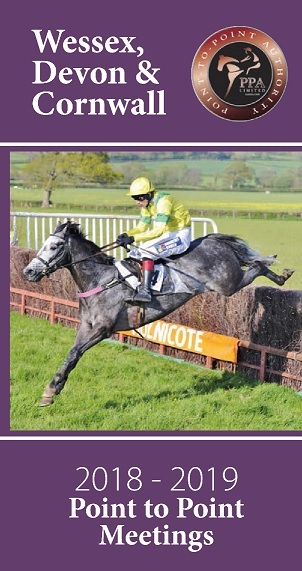 Suggestions in the Restricted race, sponsored by Carrs of Truro, would be Theatre Goer from the Robert Chanin team, after her impressive maiden win at Great Trethew, and Glacial Oscar for the Henderson team, if connections choose not to run at Flete Park on Saturday. The Lamanver Broodmares sponsored Open Maiden race concludes the day’s events in which Derniere Dance is worthy of a win soon having been placed in eight Maiden races so far including a recent second to Raffa at Kilworthy. On course facilities include hot food and refreshments, bar, bookies and trade stands.